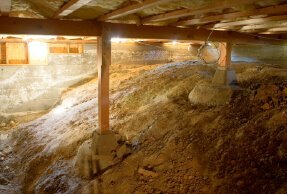 Do you have water seepage in your basement or crawl space? 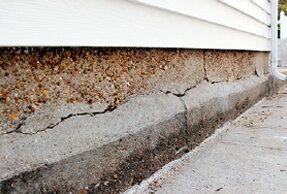 Have you noticed cracks in your foundation? 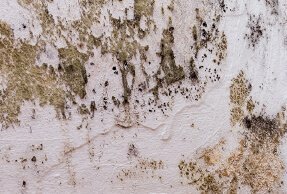 Or do you have mold and humidity issues in your home? Our experts at American Eagle Basement Waterproofing, Crawl Space, & Mold Remediation have the solutions you need to restore your home. Our experts are trained in a wide variety of home restoration services and can help you solve any of the issues we mentioned above. Whether you are in need of basement waterproofing solutions or bowed wall repair to repair a damaged foundation our team can help. Whatever issues you are dealing with in your home, whether its a cracked foundation, a wet basement, or mold growth, our fully trained experts can help you. We offer in-home inspections to provide our customers with an accurate estimate on the services they need to repair their homes. Take a look at our home restoration services below to see how we can help you protect your home from damage. If you are in need of our services don't hesitate to call our experts at 410-934-1319 to schedule an inspection, or you can fill out our online contact form to have one of your experts contact you. Our team knows how to work around the busy work schedules of our customers and can get your home repaired quickly right when you need it most. We can provide you with professional home repair services that you can count on. No bandaids or temporary repairs. No waiting for weeks at a time to get the job finished. 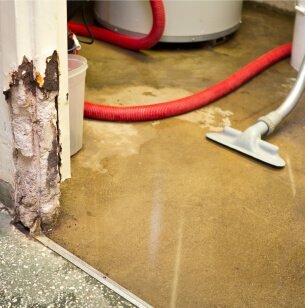 Our experts show up on time for your scheduled appointment and will be respectful of yoru property during any basement waterproofing, foundation repair, crawl space repair, or mold control project. Save yourself the headache of trying to figure out how to repair your home by yourself. Our experts have the experience needed to complete any job on time. We promise that you will be pleased with our services and with our professionalism. We know there are other waterproofing companies and contractors in the area that you could choose from, but we feel that our knowledge, experience, attention to detail, and our exceptional customer service is what sets us apart from every other company in the industry. Our team at American Eagle Basement Waterproofing, Crawl Space, and Mold Control uses products manufactured in the U.S.A by SafeBasements Inc. for out basement waterproofing, crawl space repair, and foundation repair projects. Our products are developed to last longer than any other waterproofing product on the market. 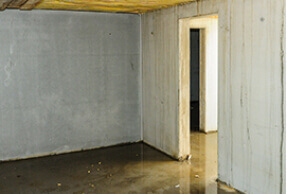 The waterproofing and foundation repair products from SafeBasements Inc. have been thoroughly tested to perform in even the toughest conditions. Designed and manufactured on American soil these products from SafeBasements INC. are designed specifically to combat the weather and soil conditions in Maryland. Recently we needed to hire a contractor to do some work in Maryland while living out of state. American Eagle Professional Services made the entire experience stress free. We were kept informed about every aspect of the work, and the pricing was very reasonable. Thank you! American Eagle did a major crawlspace moisture and mold remediation They did an outstanding job. Neat, on time, very hard working employees who completed a nasty, job in very tight small spaces. Highly recommend. Our team at American Eagle Basement Waterproofing, Crawl Space, & Mold Remediation is proud to provide our basement waterproofing, foundation repair, crawl space repair, and mold control services to home and property owners in Annapolis, Bowie, Baltimore, Centreville, College Park, Easton, Hyatsville, Laurel, Odenton, Pasadena, Queen Anne, Queenstown, Roal Oak, Stevensville,, and the surrounding areas in Maryland.